This is a photo of my step- grandfather, Paul Nitze and JFK. He was a high-ranking United States government official who helped shape Cold War defense policy over the course of numerous presidential administrations. 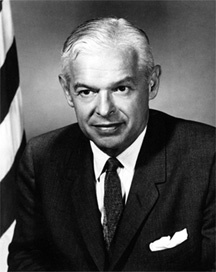 Paul Nitze was also secretarty of the Navy from 1963-76 and deputy secretary of defence from 1967-69. 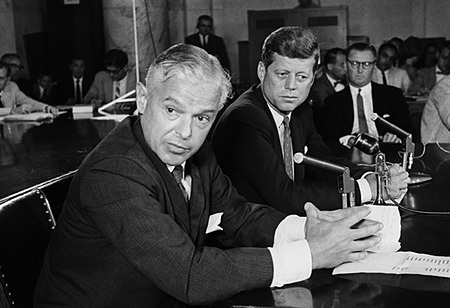 This article is about Paul Nitze's Never seen notes from the Cuban Missile crisis. 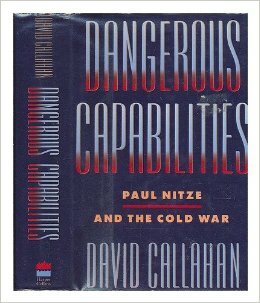 There is also a book called Dangerous Capabilites: Paul Nitze and the Cold war. "Dangerous Capabilities offers a critical account of Nitze's role in debates within the United States government on policy toward the Soviet Union, nuclear weapons, and other national security issues. 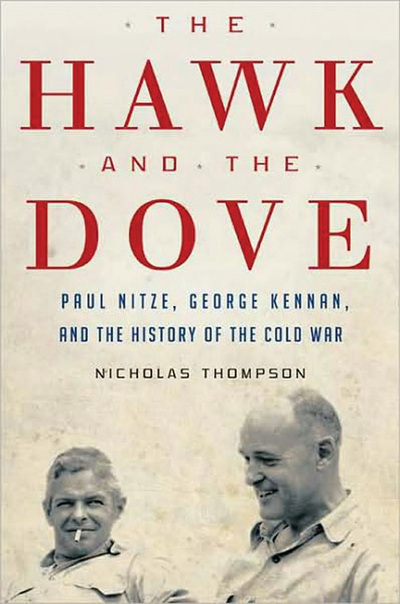 Nitze held a variety of high-level positions under eight different presidents, including Director of the State Department's Policy Planning Staff, Assistant Secretary of Defense for International Security Affairs, Secretary of the Navy, and Deputy Secretary of Defense" (Wikipedia) In addition to this book there is a book called Hawk and the Dove, it is a biography of the two most important americans during the cold war: Nitze and George Kennan.